I may have said this before and I will say it again… DO NOT DIET. I will help you Lose Weight Without Dieting. It really does not need to be crazy difficult. Just some small changes will help. Going on some special cabbage or potato diet is not doing you any good. You may lose weight quickly, that’s because you have drastically reduced your calorie intake. But you will regain the weight if you do not change your long term eating habits. The thing you need to be doing is make some small changes that will bring a long term gain. Take a look at what you already eat for a start. Record what you eat, either a mental note or good old paper and pen. The foods you really need to eat are a protein source such as Meat; chicken, beef, pork, lamb, Beans & lentils; Haricot, broad, kidney, or you could try Quorn. Carbohydrate Source such as Vegetables, fruit, wholemeal pasta and brown rice. Eat more vegetables than the other carbohydrate sources as they are lower in calories and high in fibre so they will keep you feeling full and you will not eat too many calories. Drinking Water is vital for your body to function correctly. If you can’t drink plain water, try flavouring water but stay away from all soda drinks. They are foods that you need. Looking at your list, do you eat foods that you don’t need? The list above are foods that you need to cut out of your diet. Keep Calm, you don’t need to get rid of everything at once. What I am suggesting is to lose weight without dieting, you gradually cut items from your diet. It all depends on what item you really like to eat and would struggle not eating. If your favourite high sugar food are biscuits and you normally eat a packet every day then try eating less, like half a pack a day or buying a smaller pack of biscuits. If you marry this with some more movement (exercise, gardening, sports) in your lifestyle you will lose weight without dieting. Pick a time period of 1 or 2 weeks and decide what steps you will take to reduce high calorie, sugary foods. Then at the same time increase your movement gradually. Keep this process going at a pace that suits you. The gradual changes will do great for your body and mind and you will feel like you are not depriving yourself. You Can’t Just Change Lifetime Habits Overnight. Brace yourself for long term results. 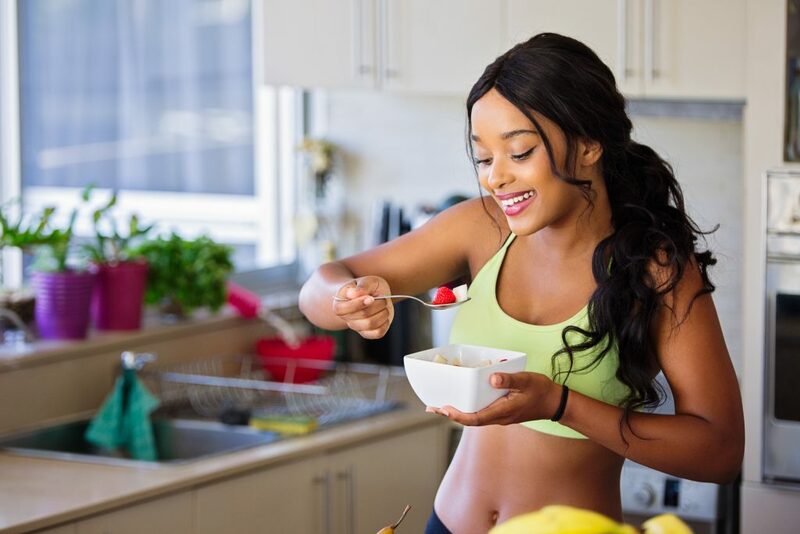 To lose weight without dieting is the best way but will take a while to get to your desired goal whether you have a few stone to lose or just a couple of pounds. It has taken a lifetime of habits that you are trying to break. Just stick at it. You will start to feel better. If you need anymore advice or information, please get in touch with me.